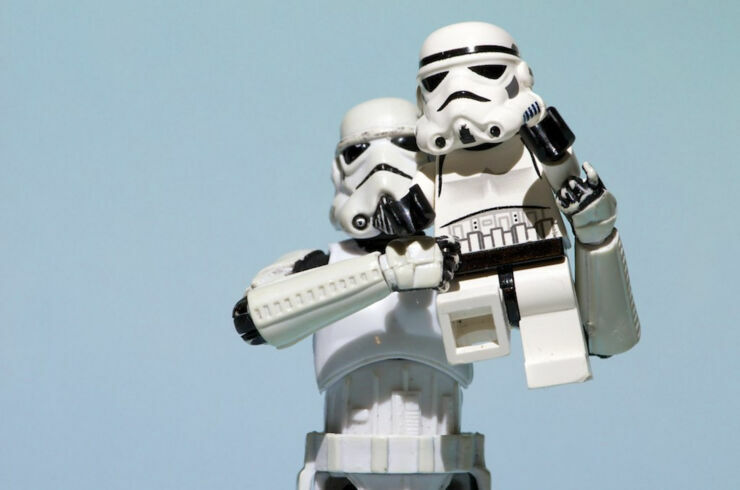 The stormtroopers from the Star Wars universe may be the elite ground force of the Imperial Army, but just because they're the foot soldiers of evil doesn't mean they don't love their children like every other parent. 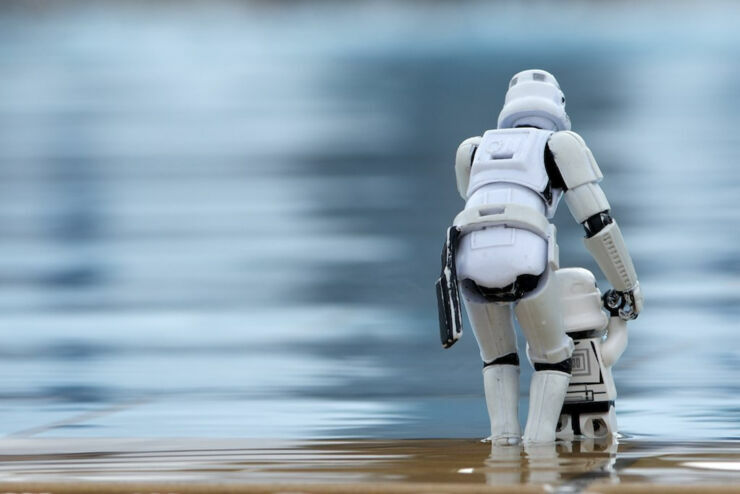 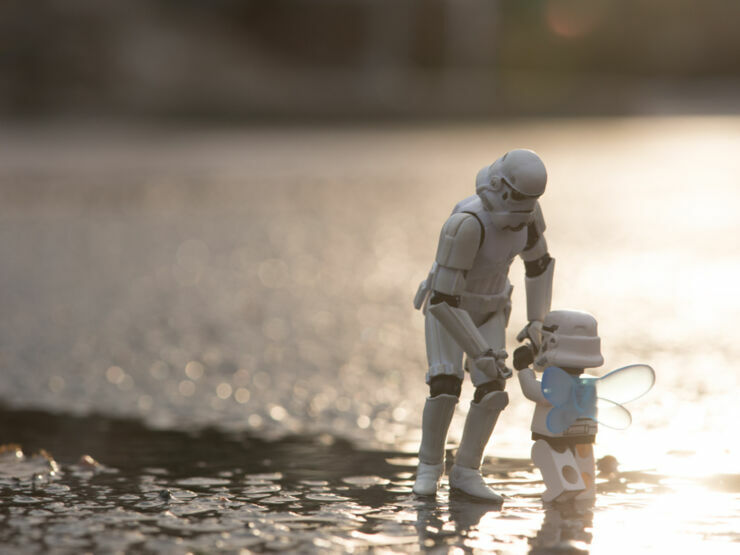 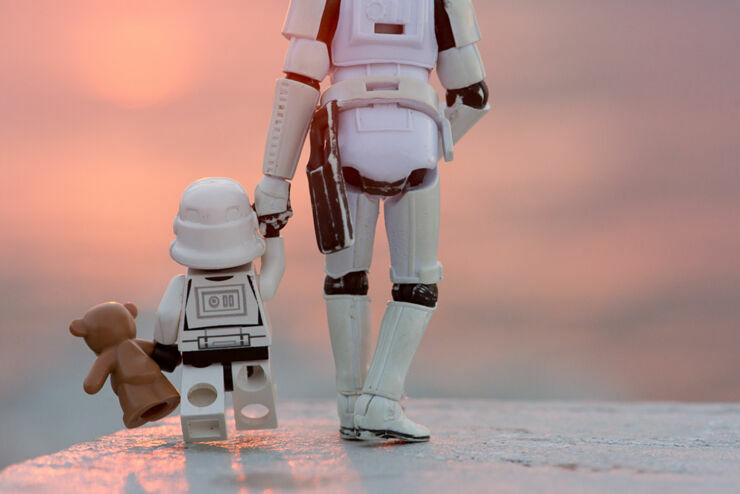 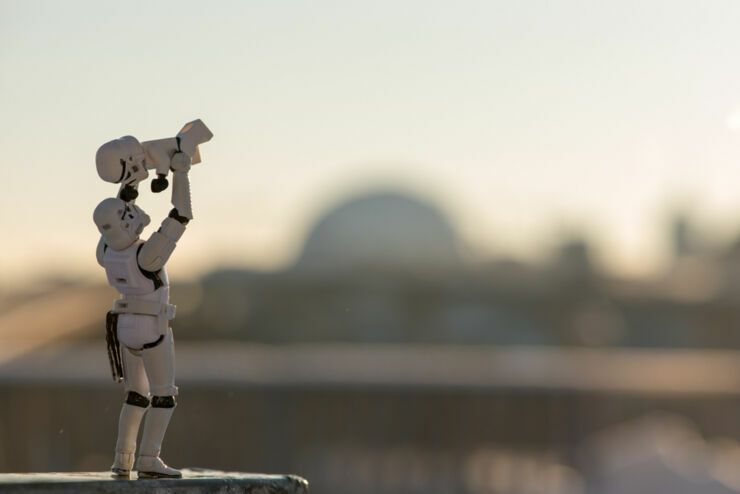 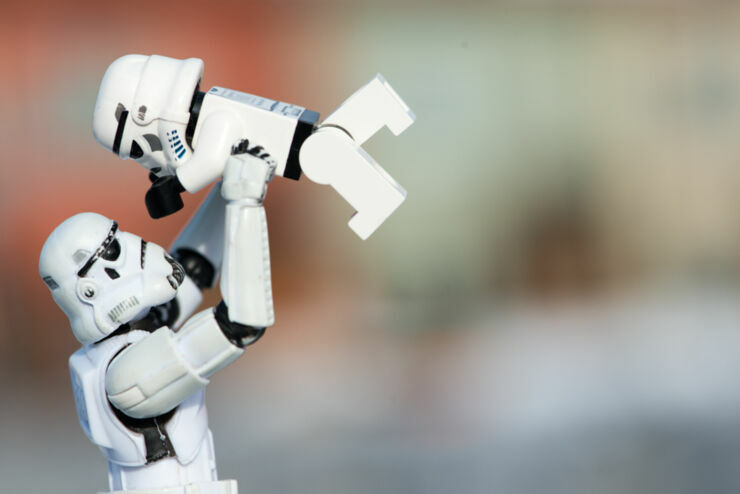 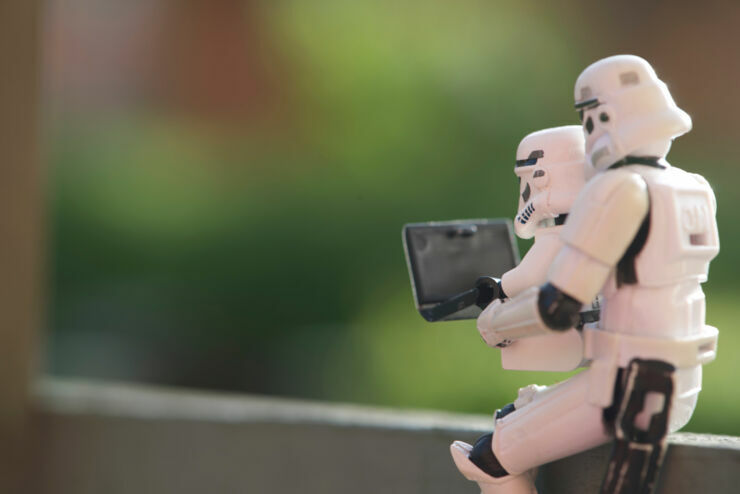 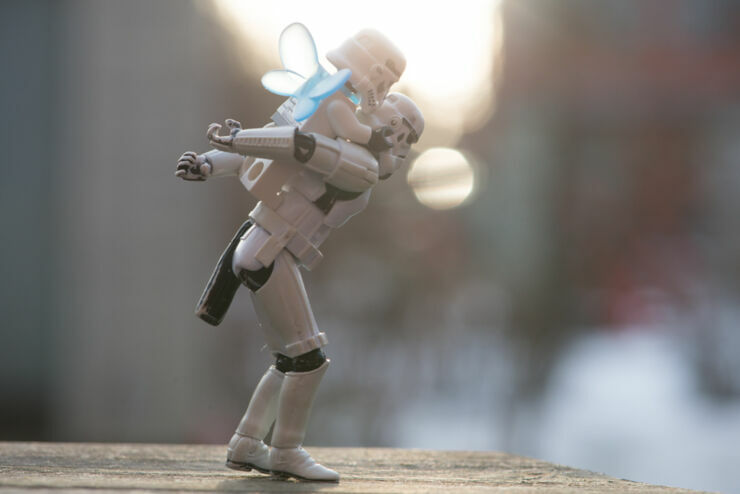 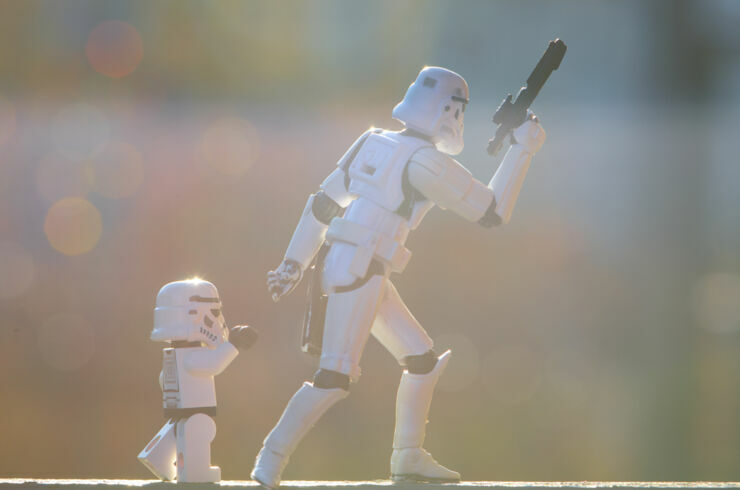 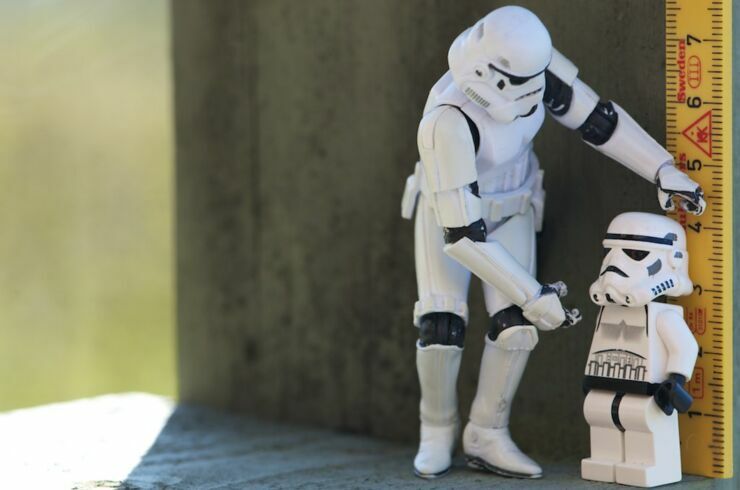 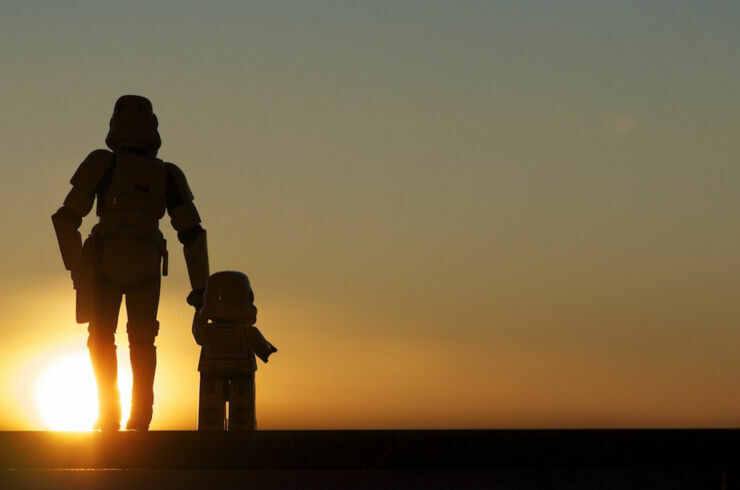 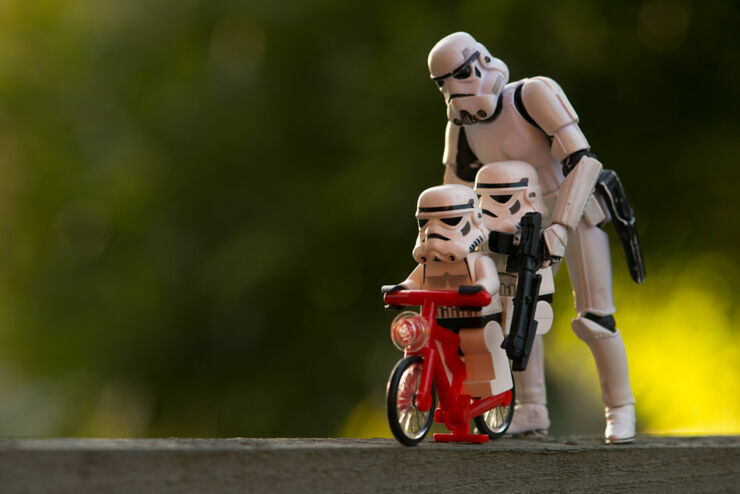 No more so is that affection felt than in these photos by Kristina Alexanderson from Sweden depicting the tender moments between a clone warrior of the Galactic Empire and his son. 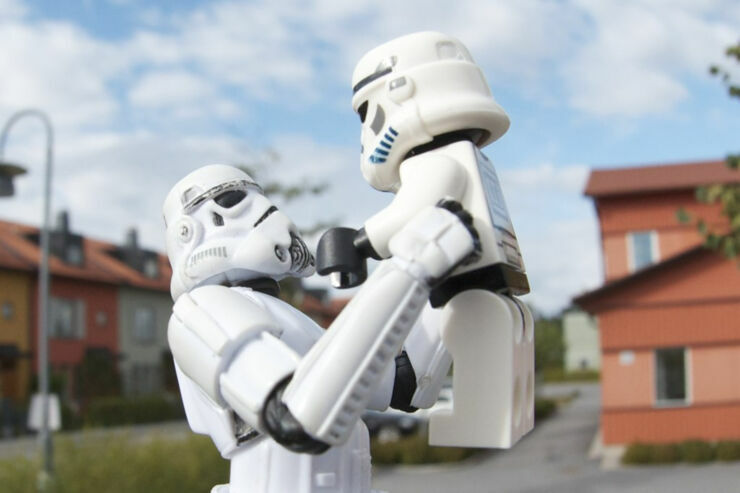 Together they share the moments every parent enjoys with their child. 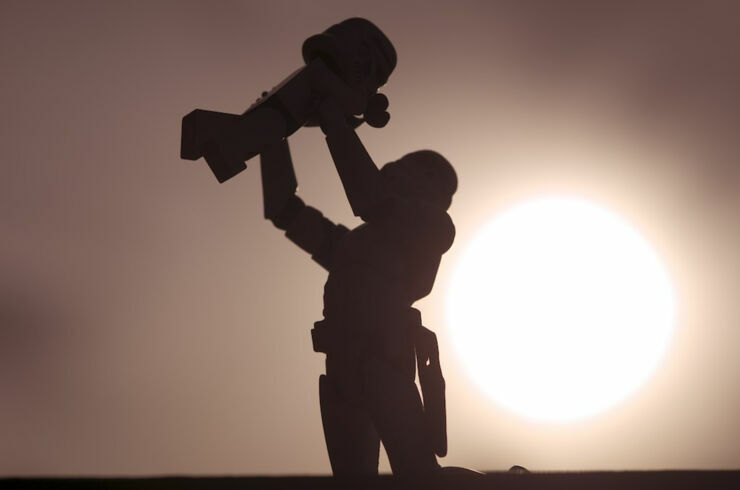 Learning to ride a bike, building a snow man, being lifted in the air, taking a dip in the water, carving a pumpkin, playing with teddy Darth Vader, learning to fire a blaster rifle. 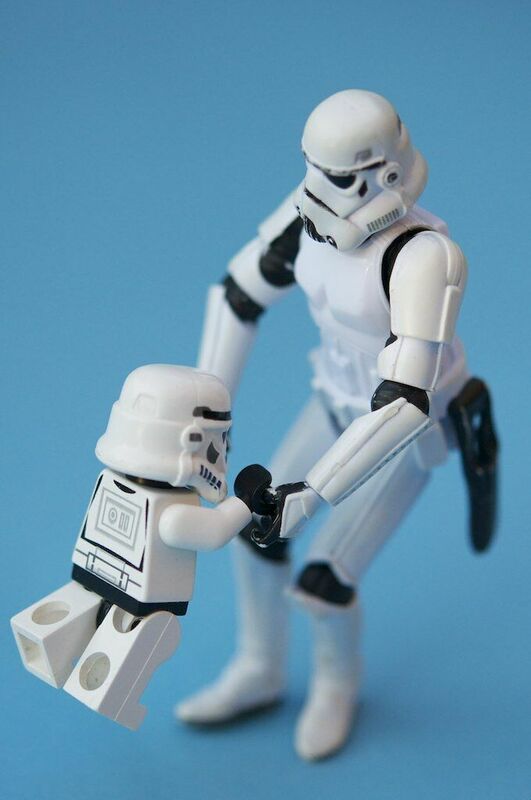 All everyday activities for a buckethead and his son. 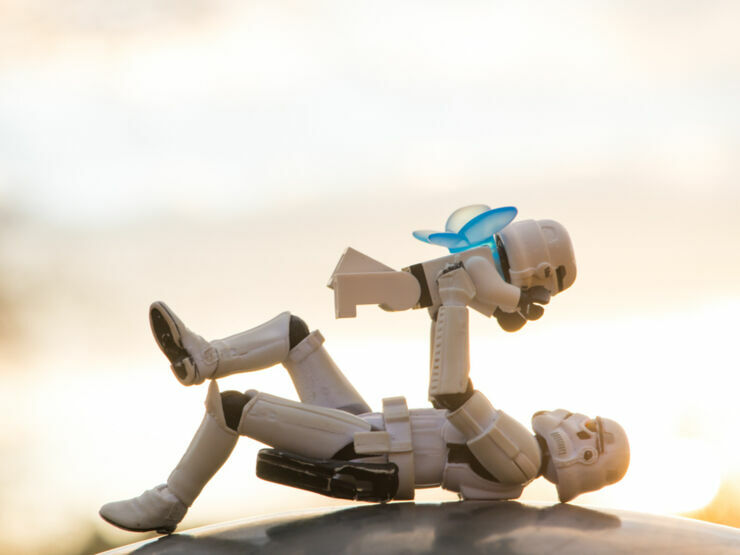 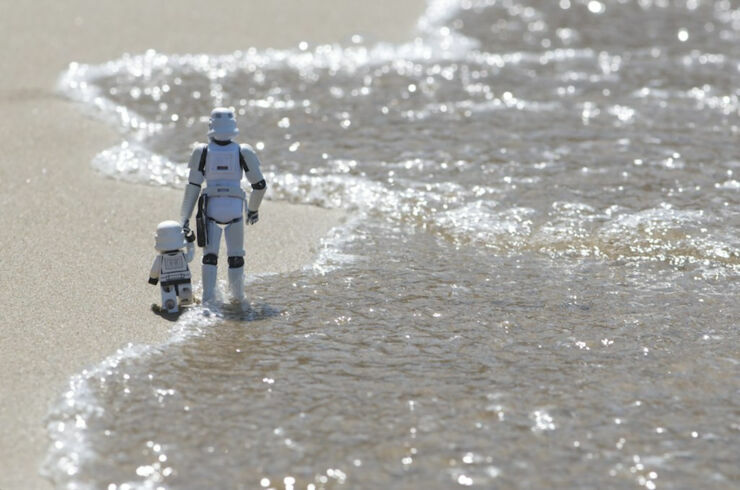 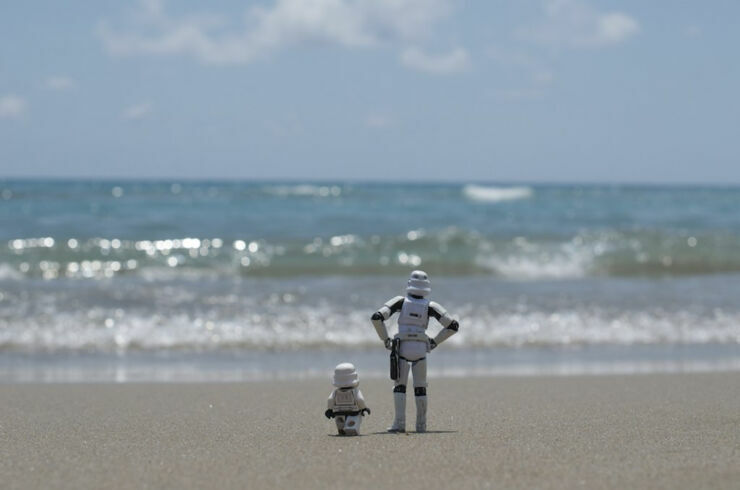 It makes for some perfect Father's Day moments (in a galaxy far, far away). 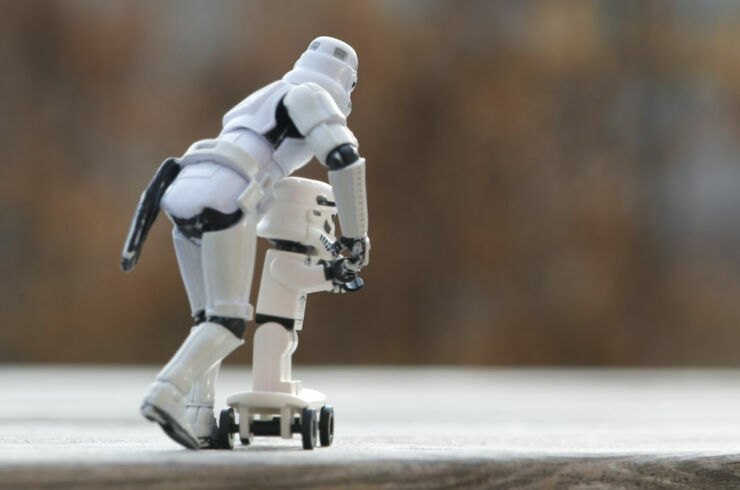 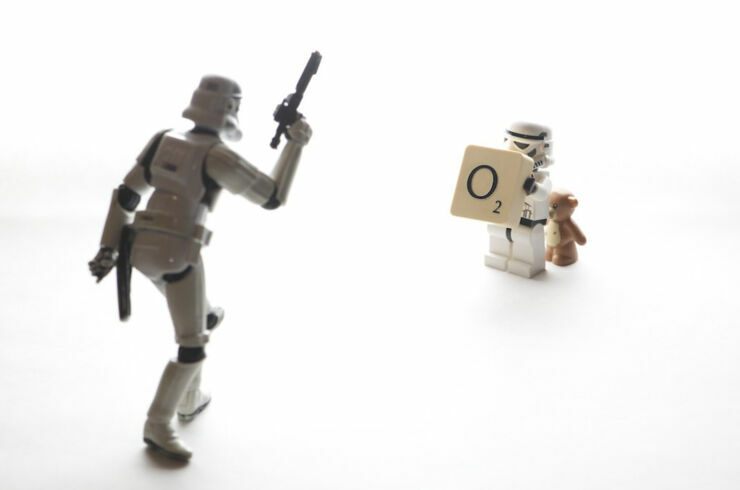 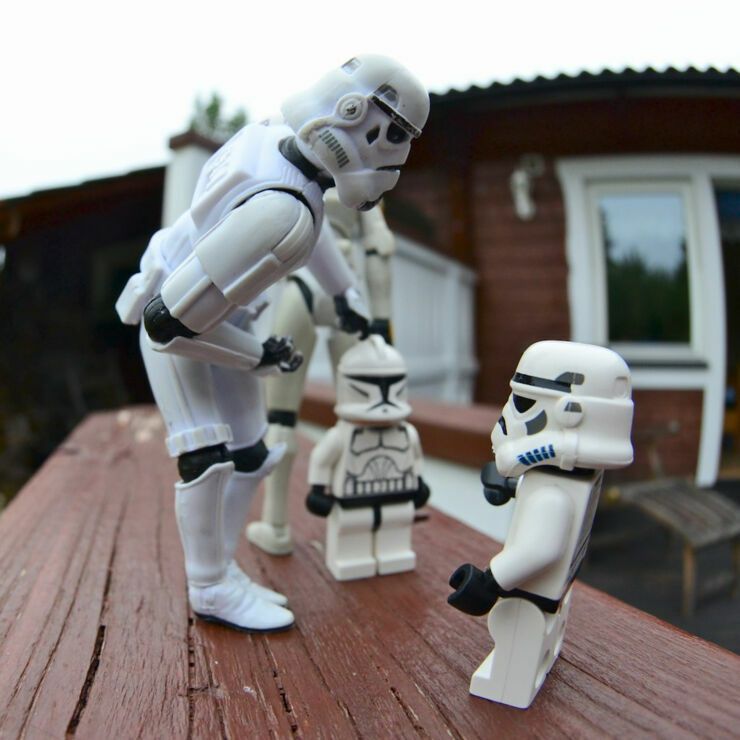 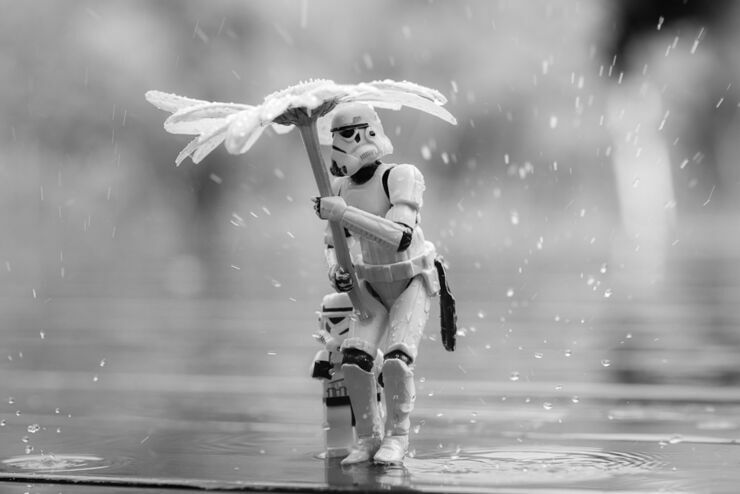 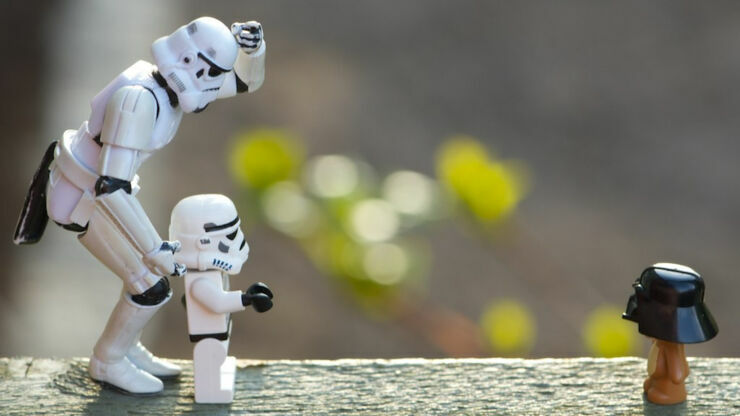 These scenes of domestic life were created by Alexanderson using a Lego stormtrooper minifig and a 4 inch tall Star Wars stormtrooper action figure as the dad. 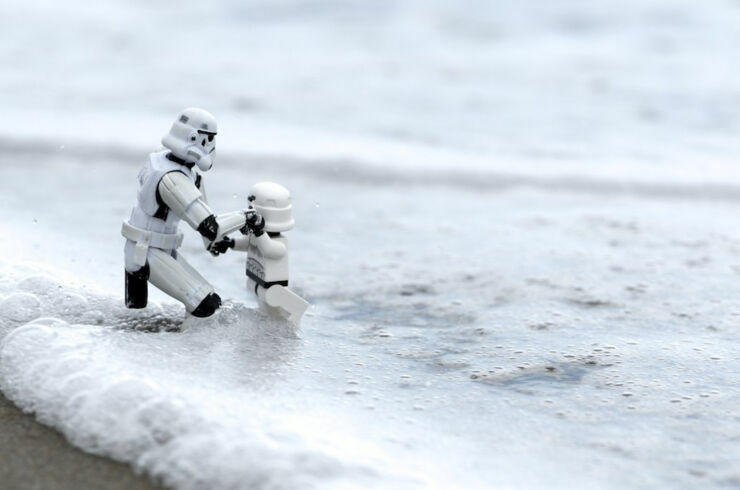 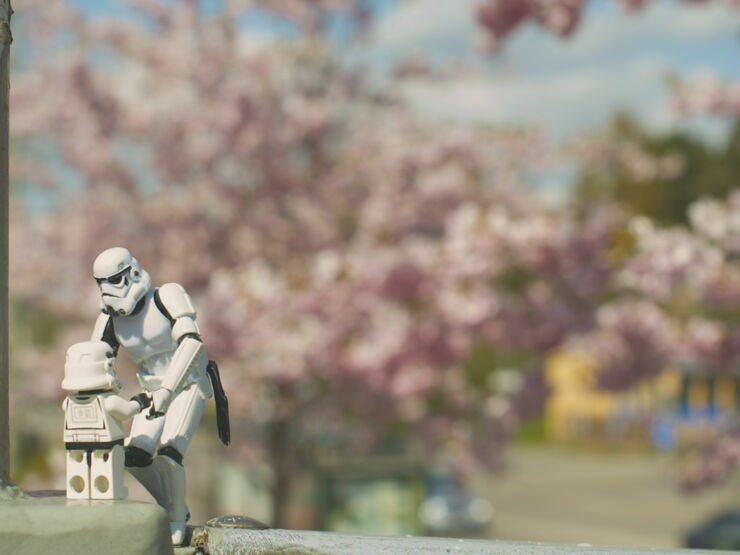 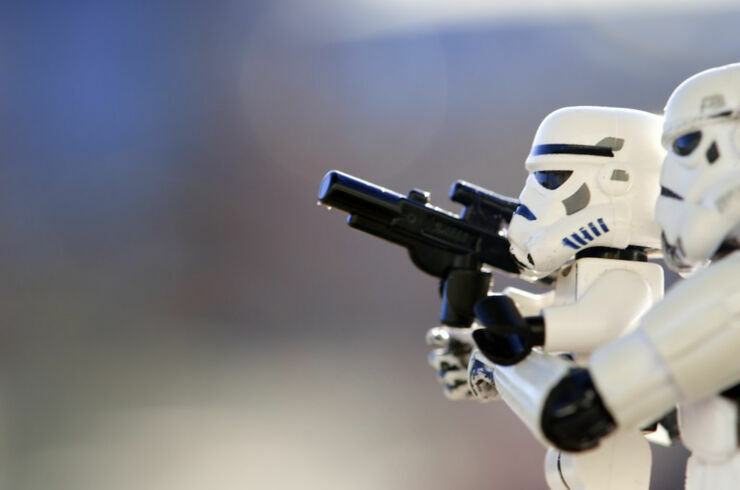 Alexanderson has been creating these sensitive scenes since 2010, wanting to show a side to stormtroopers away from their oppression of the citizens of that galaxy far, far away. 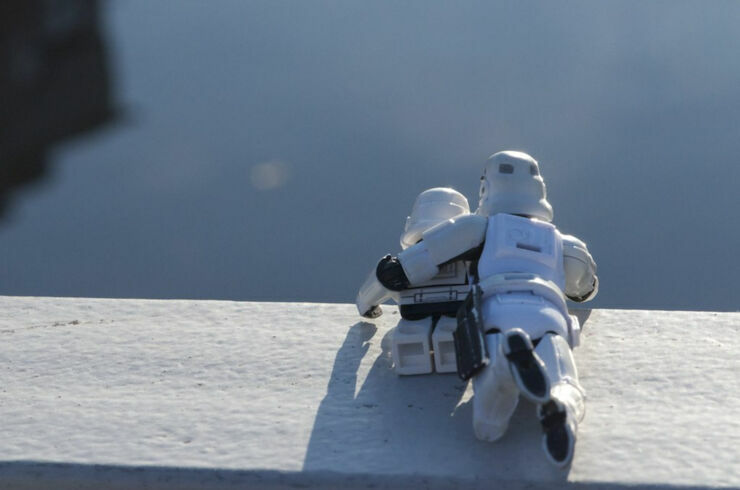 "I think we have to remember that even though they work for the dark side of the force, they are humans, with feelings and all that." 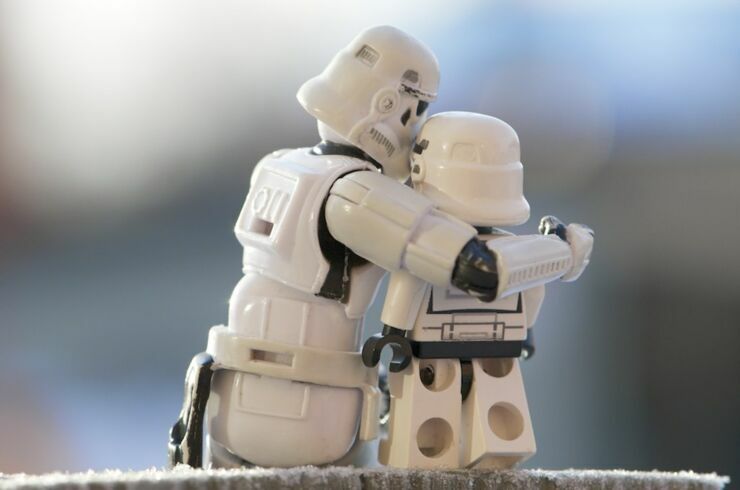 Alexanderson told the Mail Online. 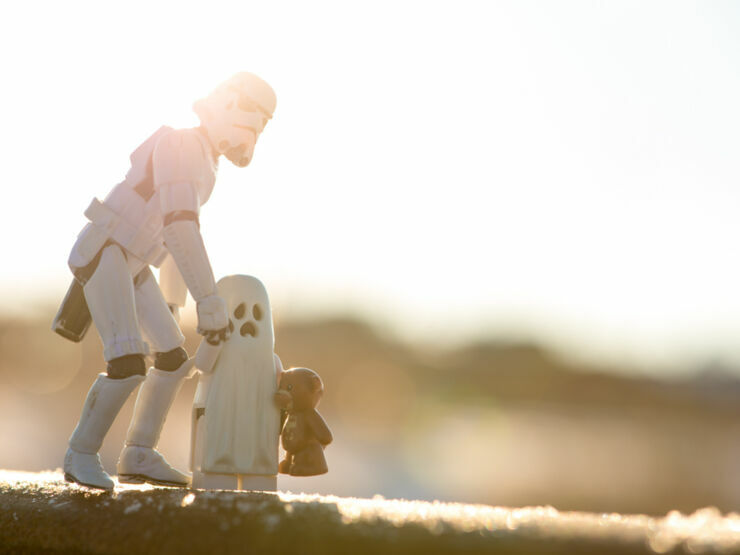 "'Do they get scared? 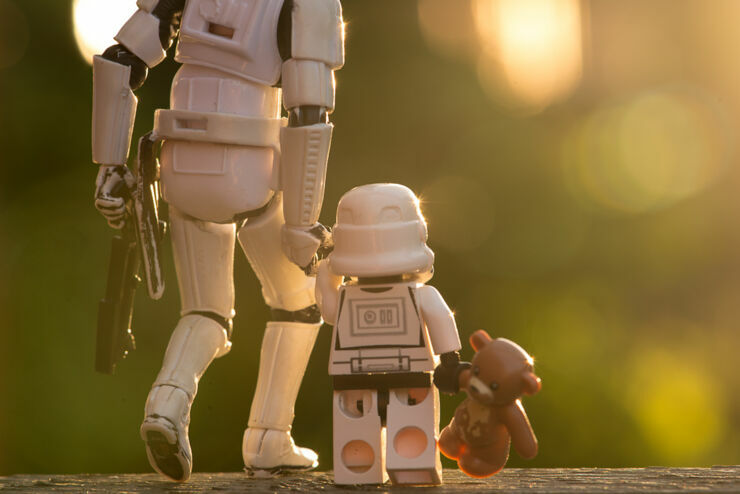 Do they worry about their kids? 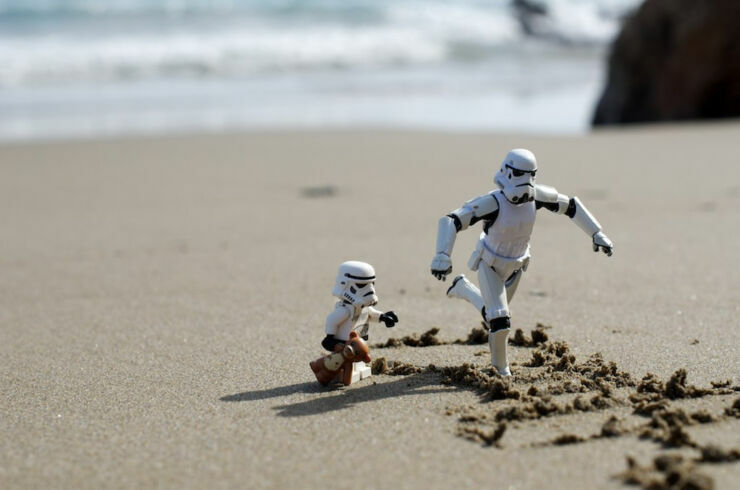 Do they play and have fun? 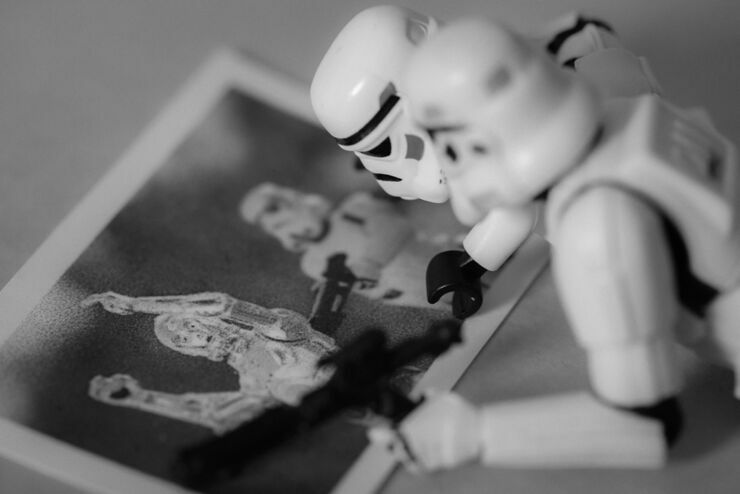 I believe they do, no matter how evil people perceive you to be." 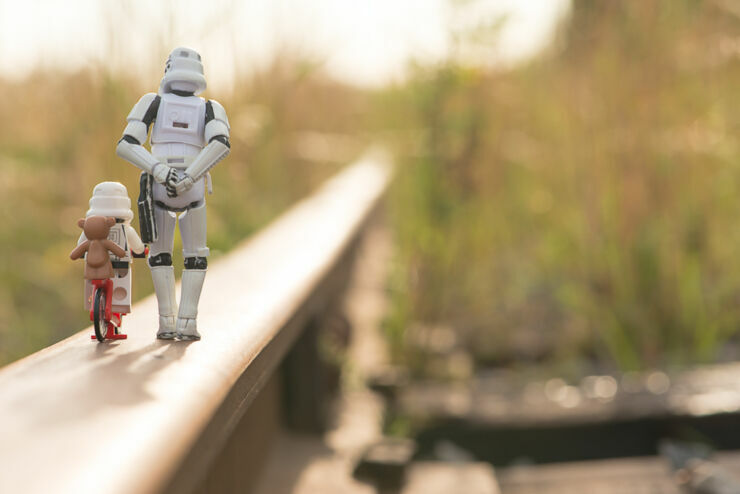 You can check out some photos from the ongoing project below. 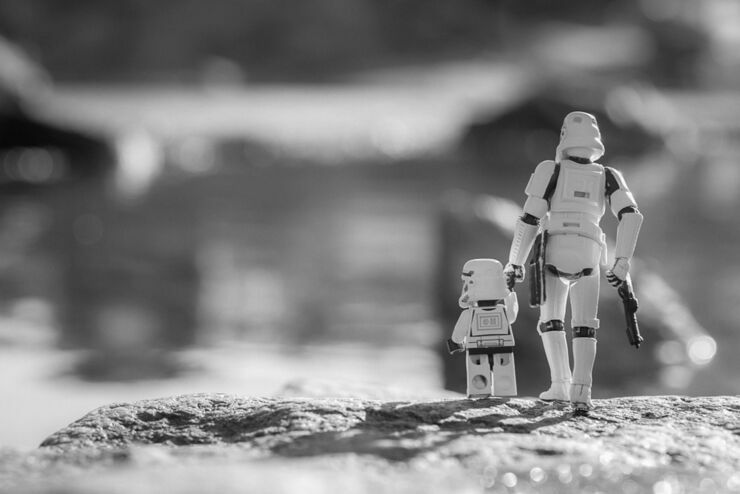 And head to Alexanderson's Flickr for more.